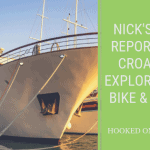 Hooked on Cycling offers this wonderful self-guided cycling holiday by road bike. On this bike tour in the Rhineland-Palatinate region, you shall experience picturesque historic towns such as Speyer, Rudesheim, Worms and Heidelberg to name a few. A chance to sample famous German wines and you cycle along the German wine route but not only this you will for certain see wonderful views and country in a region known as the Tuscany of Germany. The route is pretty challenging, always up and down on most days as you go from valley to valley but it is not mountainous. Your cycle tour begins with the gentle hills of Westpfalz, including the charming biosphere reserve of Pfälzerwald. Here you see the vine-covered hills along what is known as the German Wine route. You cycle along the peaks of the Pfälzer Wald where you see the landmarks such as Kaiserstuhl and Lorelei. Enjoy the scenery with almond trees, lemons, figs and kiwis, as well as of course the excellent Palatinate wines, this is a feast for the senses as you cycle along quiet lanes. During the course of the day arrive at the historic town of Bad Dürkheim. Bad Dürkheim us a Spa town. Late afternoon a welcome meeting at your hotel in Bad Dürkheim. Day 2 Pfälzer Wald circular tour 59 miles 95 km up 1850m or 43 miles 70 km with 1200m up. Your first cycle ride today takes you through the Pfälzer Wald, one of the largest forested regions of Germany. Your destination will be Donnersberg which is the highest peak in the region at 686 m. When you reach the high plateau there are some Celtic remains. The return route to Bad Dürkheim takes you on a fantastic cycle tour through vine-covered hills in the Palatinate region passing through quaint wine villages such as Bobenheim and Weisenheim. If the full route is too far then there is a shorter easier route to follow. Day 3 Bad Dürkheim to Heidelberg 68 miles 110km, 400m up. The first part of today’s bike ride takes you across the rolling hills of the German Wine Route, where you will be met by impressive vistas with vineyards and almond trees, as well as plenty of pretty wine villages to cycle through. As you cycle you have the expansive Rhine valley on one side and the green of the Pfälzer Wald on the other. Now you cycle through the town of Landau in South Palatinate where you leave the vineyards and cycle towards the Rhine valley. Here you can take a deserved break in the ancient Emperor’s town of Speyer. Admire the impressive cathedral before continuing on your bike to Heidelberg. Day 4 Neckar / Odenwald circular tour 62 miles 100 km 1600m up or 43 miles 70 km 1200m up. A difficult start today with a 566m ascent up the Königsstuhl. Once you reach the summit you then cycle through the Odenwald to the medieval town of Mosbach am Necker. It is a worthwhile place for a break to explore this town with its half-timbered houses looking similar to Elizabethan architecture. Now you return to Heidelberg which is mostly downhill passing orchards and meadows, soon you reach the River Necker and the flat route back to your hotel. It is also possible to choose a shorter and less challenging route. Day 5 Heidelberg to Mainz 68 miles 110 km 350m or 80 miles 130 km 750m up. Your start today is easier as you cycle along the flat lanes by the River Necker. Soon you reach the village of Ladenburg which is a small village but attractive with its half-timbered houses. Now along the border of the area of the Baden wine route, you cycle along country lanes between wheat and corn fields towards Worms. In Worms take a rest and visit the majestic Sankt Peter Cathedral. Now you continue passing a few more lovely wine villages before arriving in the capital city of the province, Mainz. There is also a longer and more challenging route through Birkenau and Heppenheim. Day 6 Lorelei round trip 80 miles 130 km 1800m up or about 59 miles 95 km 1300m up. Today you shall cycle from Mainz in a northerly direction of the wooded region of Hohen Taunus. First, it is pretty undulating until Schlangenbad where you shall continue to the famous Lorelei which is a 132m high granite rack on the bank of the River Rhine. Here you shall be rewarded with a beautiful view of the Mittelrheintal. The middle Rhine. Now you return back mostly along the Rhine to your hotel in Mainz. It is also possible to choose a shorter and less challenging route. Day 7 Mainz to Bad Dürkheim 80 miles 130 km 700m up or about 56 miles 90 km 500m up. Your first stop today after cycling through the Rheingau wine region is Rudesheim which is listed as a World Heritage Site. Now you cross to the other bank by a small ferry to the town of the Mouse Tower, Bingen. You can enjoy now many wonderful vistas as you cycle through the hilly wine area of Rheinhessen. Cycling through Bad Kreuznach and Alzey you reach Bockenheim from where you join again the German Wine Route and back to Bad Durkheim. It is also possible to choose a shorter and less challenging route. Fly into Frankfurt airport and then by train to Bad Durkheim.